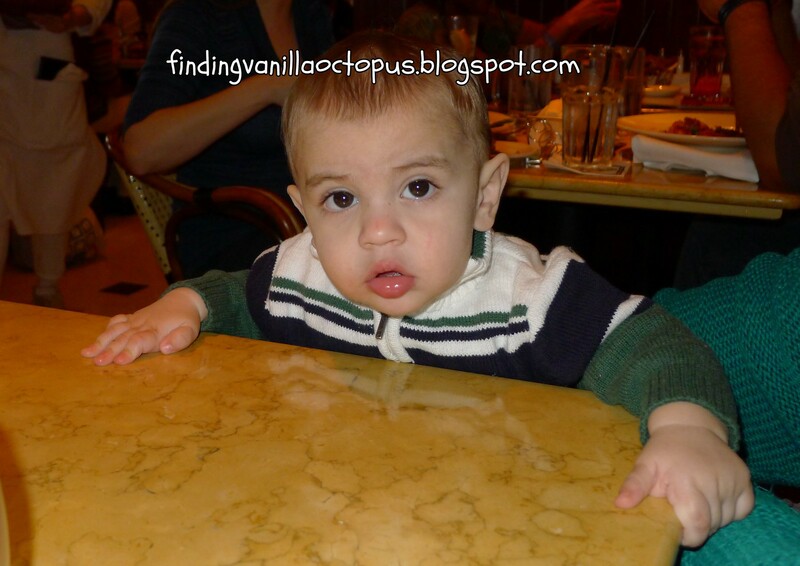 Finding Vanilla Octopus: One, Two, Three... Time Out! One, Two, Three... Time Out! Michael is a busy little guy, and has never had much patience for sitting still, especially in his high chair. There comes a point at every meal when he's reached his breaking point, and has to be removed. Thankfully, that moment mostly coincided with when I'd finished my own dinner this evening, but I wasn't quite ready to get up from my chair yet, so I pulled Michael into my lap. He wasn't too happy to be constrained there, either. As he wiggled, whined, and fussed, Abby looked over at all of the commotion and began to count, "One, two, free.." she paused, then finished, with some authority and a touch of sass, "I guess you're gonna get a Time Out!" I'm now one, two, three days past 39 weeks. I think I'll take that Time Out, thanks. Who's Afraid of the Echo Bush?